Can be used in people who are missing one or more teeth. An implant is surgically placed in an opening that your dentist makes in the jawbone. 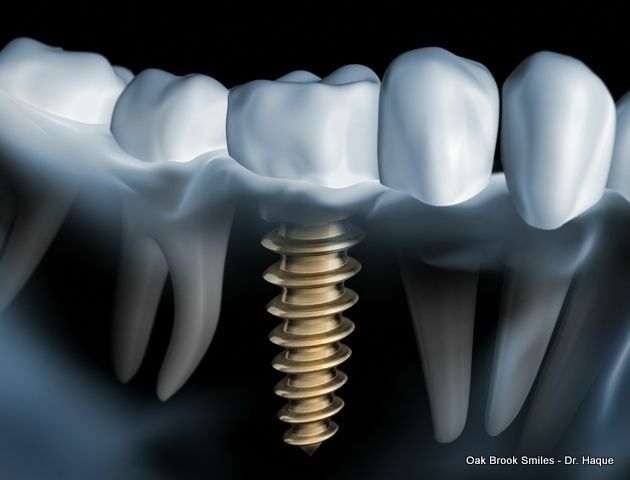 After the implant integrates (attaches) to your bone, it acts as a new root for the crown that will replace your missing tooth. A crown (cap), which is made to look like a natural tooth, is attached to the implant and fills the space left in the mouth by the missing tooth. Zirconium oxide is much closer in composition to natural teeth than titanium, which was used up to now, explained the manger of the US Z-Systems team, based in Massachusetts. After implantation, the soft tissue grows up on the ceramic implant as it does on a natural tooth. In addition, the risk of inflammation is markedly reduced with the new material. Amazingly, in the question of inflammation (plaque), the artificial ceramic teeth are even better for the gums than healthy teeth. The special Z-Systems Zirconia ceramic has a three times greater flexible strength than titanium. The terms “thin” and “brittle” that come to mind for ceramic do not apply to this high-tech ceramic. This specially produced Z-Systems ceramic is so hard that knives made from it can even cut steel. It is used, for example, in the heat shields for the NASA space shuttles and in the brake pads of sports cars. The biocompatible ceramic implants are made up of one single piece, and include the anchor portion that goes in the bone. This means they can be implanted in just one operation. In contrast, a total of three sessions are required for conventional titanium systems. Another advantage of ceramic implants is their color which is bright white. Of course, implants are normally covered by the gums and cannot be seen. But if a patient develops periodontitis over the years and the gums recede, a light-colored ceramic is more aesthetically pleasing than a shining metallic bolt, and gums that have thinned will always seem light-coloured. Metal free oriented dentists all over the world estimate that around one-half of one percent of all patients have an allergic reaction or sensitivity to metals. Because of its free electrons, titanium can be involved in metabolic processes, which, in rare cases, can result in adverse reactions. In contrast, zirconium oxide has proven to be totally bio-inert. There are no known allergic reactions to zirconium ceramic. Full mouth rehabilitation can also be accomplished using four to six implants and stabilizing a denture either permanently (screw retained) or removable (with a male/female locking mechanism). A: Generally speaking, if a person is well enough to undergo the treatment necessary for fixed bridgework or routine tooth extractions, the same person can undergo dental implant procedures. Also, patients may have general health conditions that would contraindicate implant procedures, although this is unusual. The best form of implant for you is determined after a thorough examination and discussion with your dentist and periodontist or oral surgeon. The amount and location of available bone is usually the major determinant as to which implant system is to be used, or whether you are a good implant candidate. A: When people hear the word "rejection" in connection with implants, they are usually describing conditions that can occur where there has been surgery that involves transplanting a vital organ such as a heart. However, dental implants fall into an entirely different category due to the fact that tissue matching, blood typing, etc., is not a factor as in the other procedures mentioned. The body completely accepts placement of dental implant material (like orthopedic materials which are similar) within bone; therefore, today's dental implants meet with great success. Obviously, there are some dental implants that have not been successful. However, success has more to do with proper patient selection, proficiency of the practitioner, and the patient's commitment to proper hygiene and preventive maintenance. Another factor in success involves regular follow-up care, just like other dental treatment. Both soft tissue health and the way the replacement teeth function and bite together must be evaluated periodically to ensure long term success of the dental implant. A: How long do teeth last? They should last a lifetime. However, we all can sight examples where teeth have not served for a person's lifetime. We know that dental problems mostly stem from improper home care or lack of treatment when needed. The same holds true for implants. With proper care and routine dental check-ups they should last a lifetime. No one can give guarantees because the health of a person is dependent upon many factors which are out of the control of one's dentist, e.g., proper nutritional needs being met, proper hygiene, genetics, disease processes which might occur. So, the answer to this question really is that no one knows how long each individual implant will last... one's success can be influenced by the way you live and the quality of practitioner that you have chosen to do your implants... these things can tip the scales in your favor. A: Implant placement usually does not result in much post-operative discomfort -usually the patient takes Tylenol or Advil for about 2-5 days. If more extensive treatment is needed, for example bone grafts or many implants, then the post-operative course may require more time and medication. Anesthesia during the surgery should make the placement procedure pain-free. We are conservative with anesthetic agents and our philosophy is to utilize the least amount of medication for the patient to comfortably tolerate the procedures. Depending on the complexity and number of implants being placed, the procedure can take between 30 minutes to 3-4 hours. A: The first phase of treatment, after a detailed evaluation and treatment plan, usually is the actual placement of the implants. This procedure is generally done in the doctor's office during one visit. Most implants will remain covered, underneath the gums, for 3 to 6 months. During this time, osseointegration --the biological bonding of the jawbone to the implant--occurs. Through this healing period, you will probably wear your modified denture or a temporary denture or bridge and maintain normal activities without restriction. You will need to follow a modified, soft diet for the first couple of weeks. There are occasions, one stage implant placements or when extensive bone grafting is to be performed, when patients may be asked not to wear their removable dentures for a period of time. When this is necessary we'll do all we can to help our patient through this transition. Q: I've heard that dental implants are expensive. How much do they cost? A: The procedure can involve a significant investment, with surgical fees ranging from $1,800 and up for a single tooth replacement (when the implant crown is added the cost is about the same as a conventional "3-tooth bridge") to $5,000 and up for replacement of multiple missing teeth. However, the cost of non-treatment can be considerably more expensive. Continual bone loss occurs from the wearing of full dentures (plates) and partials. This progressive loss of bone can eventually cause nerve exposure, jaw fracture and a complete inability to function with regular dentures. Correction at this point may be very expensive and can involve extensive bone grafts, which may require hospitalization and an extended recovery period. Placing implants before the bone loss becomes severe not only saves money in the long run, but also slows the bone loss process, increasing the likelihood of long term success. A: Yes and no --sorry to be so vague, but some carriers pay for them, some don't, and some pay a portion of the costs. Most dental plans do not provide for the surgical placement of implants. However, many do provide some restorative benefits. Surprisingly, the best coverage often times can be through your medical insurance if you are missing all or most of your teeth. In this case the implant procedure may be considered jaw reconstruction with restoration of normal chewing function and sometimes medical insurance will cover all or part of the treatment. In many instances we have been able to help get significant coverage for patients, but unfortunately it is not very predictable. Our staff will work hard to see that you get the best possible benefit from your insurance. A: Whether or not the dental implant can be placed immediately after extraction depends on the amount of available bone in the area and presence or absence of active infection. Placing the implant at the same visit helps preserve both width and height of bone and may prevent the need for placing bone grafts when bone naturally shrinks back after teeth are extracted. During the first year after teeth have been removed, as much as 40% of jawbone width can be lost. Sometimes, infection from a tooth or periodontal disease has destroyed the bone to such an extent that it becomes necessary to do a bone grafting procedure prior to implant placement. If it is possible to place the implant at the same visit as the teeth are extracted, this can save at least three months in healing time compared to waiting for an extraction site to heal before the implants can be placed. A: Patients are encouraged to continue their normal activities, even if it involves traveling out of town or even out of state during most of the time of their treatment process. Usually the longest period of time we recommend our patients to stay close to home is the time immediately following the implant surgery. Most people (age does not matter) are able to go about their normal activities in only 2-3 days after their surgery. We do recommend staying close to town after this surgery for 14 days to insure that normal healing occurs. Once the implants are placed it can take as long as 5-6 months for the surrounding bone to integrate (or bond) with the implant, however, you are usually able to wear your existing partial, denture or temporary bridgework from the day of surgery until the day you receive your new replacement teeth. During these several months you can travel and do as you please. A: In many cases, the pressure of dentures or partials on the tissues causes gums to get "flabby" and bone to shrink over time. When this occurs, the dentures usually become loose and awkward even when adhesives are applied, much like the way clothes become baggy when one loses weight, and this causes more bone loss and gum problems. With dental implants, bone loss as well as gum erosion are slowed. Unlike dentures, which put pressure and stress on top of the gums and jaw bone, endosseous ("in-the-bone") implants are actually surrounded by bone and the chewing forces transfer pressures into the bone, much like teeth do. This actually can strengthen the bone and increase bone density, reducing the bone shrinkage seen regularly from dentures. A: Legally yes, but like any medical or dental procedure, not all practitioners have equal experience, training or comfort with implant treatment. Also, for every procedure, there is a "learning curve" and you want practitioners with significant experience to help you with implant treatment so you are likely to get the best possible long term result. A: A phenomena that occurs in a large majority of people who have had their upper back teeth missing for a long period of time is the increasing downward growth of the maxillary sinus. At birth it is the size of a pea, and progressively grows as the skull matures. This growth is at the expense of the surrounding bone. If you are considering replacing those upper back teeth with fixed teeth that stay in all the time, it may be necessary to perform a sinus elevation procedure to allow room for placement of dental implants into this area to support those teeth. This involves placement of bone and/or bone substitutes into an area which was previously occupied by the lower part of the maxillary sinus. These bone graft materials act as a matrix or scaffold which is replaced by the patient's own new bone. This raises the floor of the sinus, reduces sinus volume and may allow the sinus to drain easier. Most importantly, this procedure increases the available bone use to place implants and restore the missing back teeth. A: A common complaint is having to constantly add adhesives to secure dentures, especially after drinking a cup of coffee or eating a meal. This can really be a nuisance when eating out at a restaurant and having to excuse yourself from the table to go to the rest room because your dentures won't stay in. Laughing, sneezing and coughing can also cause trouble for people who depend on adhesives to hold their teeth in place. It may be funny to see another person having a denture fall out, but it is not funny to the person who has to deal with these embarrassing situations on a daily basis. Denture wearers with problems such as these are not alone. There are 30 million people in the United States with no teeth and 29% in this group chew only soft foods. A: Absolutely. Your situation is a common one. The full lower denture is the most unstable prosthesis fabricated in dental practice. During chewing, the average lower denture moves five times more than an upper denture. The person with advanced bone loss has additional problems of poor muscle coordination, speech difficulties, and inability to keep the denture in place, all of which adversely influence a normal lifestyle. Dental implants can be the solution to all of these problems. Even in cases where a lot of bone loss has occurred there still is a good chance something can be done. In most cases, a thorough oral exam and a panoramic x-ray is all that is needed to determine if you are a good candidate for implants. A: It is not necessary to have an implant for every tooth that is being replaced. The number of implants necessary to provide support depends on the type of implants used and the type of teeth (removable vs. non- removable) that will be attached to the implants. For example in this case, if you're a good candidate for endosseous (in-the-bone) implants, you may require between 2-8 implants, depending on the technique used to support a full compliment of lower teeth. A thorough oral exam and panoramic x-ray is all that is necessary in most cases, to determine which implant can be used and how many must be used. Sometimes additional x-rays or CT scans are used in more complicated cases. A: It is possible to replace an entire arch of teeth with non-removable teeth supported by dental implants. Each individual presents a different combination of factors and these factors will determine which type of implant will be best suited for them. The end result is the elimination of the denture as we now know it. The ability to function socially and eat properly is the driving force behind the development of dental implants. These procedures will provide you with stable teeth, in many cases, for the first time in years. A removable denture can be retained and supported by several implants joined by a bar or the missing teeth can be restored with fixed or removable bridges anchored to 5 to 8 implants. Implants are a viable and functional way to help improve one's quality of life and health. A: Because of the advances in the field of dental implantology, there are now more choices and techniques. It's the rare person that cannot receive an implant or a combination of implants. 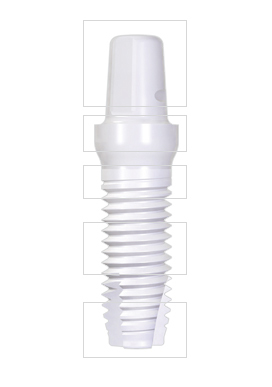 Today we have available many types of implants designed to accommodate multiple problems. As an example, if adequate bone is not available in the front or the back part or the jaw for in-the-bone implants, an over-the-bone type implant can be placed in both areas and non-removable teeth can be made to attach to the implants. Over-the-bone implants have been used successfully in dentistry for over 30 years. An implant of this type also has the added advantage of strengthening a fragile jawbone, which can help prevent a fracture. 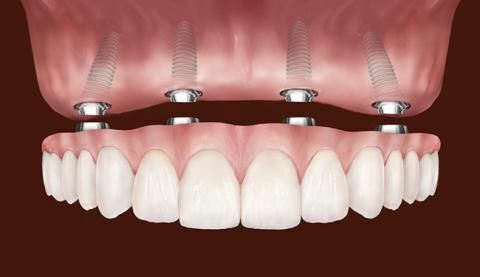 The ability to utilize multiple implant techniques is an essential ingredient to the successful use of implants. No one design will cover all situations. Bone grafting techniques have improved remarkably and in many instances we can do these procedures in our office. Bone grafts can strengthen the jaw and supply additional bone for implant placement. A: Probably. Upper dentures cover the roof of the mouth and go back to the soft palate to get support and "seal" so they will stay in place. Unfortunately, this results in covering up the palate and many taste buds. By using implants to anchor or support an upper prosthesis (either removable or nor-removable replacement teeth), the roof of the mouth can be left uncovered so one won't gag, and can feel the texture, temperature, and taste of foods and beverages much better.